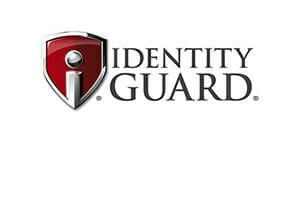 Intersections Inc., the company behind Identity Guard® has garnered 47 million customers and several industry awards since its founding in 1996. Identity Guard offers a range of online security tools, and with several plans to choose from, subscribers can select the level of security that best matches their needs. Identity Guard with Watson for $19.99 per month. Includes IBM’s Watson machine learning technology, which personalizes identity theft protection according to your online habits. Total Protection plan for $19.99 per month. Includes 3-bureau monitoring, quarterly updates on credit reports and scores, up to $1M of insurance, child identity monitoring, lost wallet protection, and a dedicated case manager in instances of fraud or identity theft. Platinum plan for $24.99 per month. Includes monthly credit scores and reports. Identity Guard scans for the illegal use of customers’ Social Security numbers and regularly checks the dark web for any illicit use or sale of a customer’s private information. In addition to these efforts, the company’s partnership with IBM’s “Watson” artificial intelligence gives their monitoring tools extra power to scan through thousands of public records, financial details, and credit information. Identity Guard could improve by including driver’s license scanning and add an option to check multiple email addresses, but their existing monitoring represents an excellent way to stay protected. The company will automatically send email and text message notifications to customers regarding specific issues detected, and then offer customers the ability to get in touch with a restoration specialist immediately. Customers also receive notifications if their personal information is changed or verified under suspicious conditions, and if attempts are made to take over users’ various accounts. Customers are matched with a dedicated case worker who helps advise users on the next steps to take during the recovery and restoration processes. The assigned case worker advises the customer for three months following resolution to ensure that everything is back to normal. Though providing a dedicated case worker is a nice feature, some of Identity Guard’s competitors play a more active role in the restoration process beyond merely giving advice. Customers are insured for up to $1 million should their identity be stolen. A significant highlight of Identity Guard is the company’s broad range of value-added features. The company provides customers with lost wallet protection and a suite of cybersecurity tools designed to keep their internet activities safer. These include a keyboard encryption application, as well as antivirus and anti-phishing software. Furthermore, customers can add their children to scans to ensure the entire family’s identities remain safe. Customers also receive quarterly or monthly credit reports based on data from all three credit bureaus. Customers can download Identity Guard’s Android and iOS applications directly from Google Play or iTunes for free. The company’s mobile apps keep customers informed as to important aspects of their ongoing identity theft protection. The setup process begins with selecting the preferred plan and filling out a quick registration form. Once details have been entered, Identity Guard’s monitoring tools will begin scanning the web for any evidence of fraud or identity theft. Users can then visit their online dashboard to see which services are active and which they would like to begin using. To reach customer support, customers can call the company via a toll-free number Monday through Friday between 8:00 a.m. and 11:00 p.m. Eastern, or Saturdays between 9:00 a.m. and 6:00 p.m. Members can also access a live chat feature through their dashboard, as well as contact customer support via email. The company could perhaps strengthen its response and restoration services, but its monitoring utilities are designed to preemptively protect against most breaches. With a proven track record of success and high regard by industry experts and customers alike, Identity Guard is an attractive solution for customers looking for comprehensive protection for both their identity and credit.